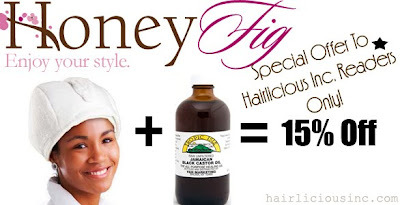 Hairlicious + HoneyFig.com = Surprise For You! - Hairlicious Inc. I'm so happy about this thanks. Just started reading your blog and I was going to but that wrap thingie this weekend and I wanted to try the castor oul as well so this is perfect. i went to the store yesterday and picked these up! Thanks much,,,I'm very intersting with this Post, w'u want to visit back me ?